Clemence-Irons House is both one of the oldest houses in the Ocean State and an important record of twentieth-century restoration methods. Built by Richard Clemence in 1691, it is a rare surviving example of a stone-ender, a once common building type with roots in western England. Passing through a series of owners over hundreds of years, the house grew to thirteen rooms by 1938, when it was purchased by the Sharpe siblings. 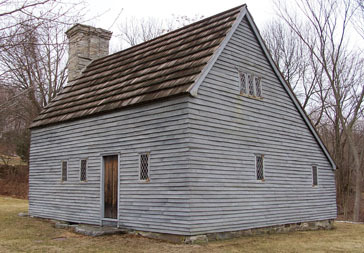 Henry Sharpe, Ellen Sharpe, and Louisa Sharpe Metcalf valued the great age of the house and recognized its stone-ender characteristics. They commissioned Norman Isham, who had directed restoration efforts at nearby Arnold House in 1920, to investigate the structure and restore the house to its seventeenth-century appearance. Using a combination of salvaged and new materials to recreate the original appearance of the house, Isham also commissioned furnishings made from old wood to complement the architectural reconstruction. Last tour at 3:00 p.m.
Free for Historic New England members and Johnston residents. From Route 295, exit at US-44 East/Putnam Pike via exit 7A toward North Providence. Turn right onto George Waterman Rd/RI-128. The house is on the right. There is street parking on George Waterman Road. Please note there are no restrooms onsite. Richard Clemence built the house in 1691 as a classic stone-ender with four rooms downstairs and one large room upstairs. The great room is the largest first-floor room and was used for common living and meeting. The kitchen underwent major restoration in 1939. The 1938 restoration team determined that this room served as the primary bed chamber for the household. The second floor contains evidence that reveals how Clemence raised the house in the seventeenth century. The entrance to the house leads directly to the great room, following the English tradition of eschewing an entry hall. The first record of this property is the purchase made by its first white owner, Thomas Clemence, from the Native American Wissawyamake in 1654. This eight-acre parcel of meadow lying along the Woonasquatucket River, originally part of Providence, was increased during the 1670s and 1680s. Through additional purchases and land grants from the initial land divisions of the town of Providence, Thomas accumulated at least one hundred and ten acres. Thomas Clemence became an influential member of the community soon after his arrival from England in 1636 and was one of the original purchasers of the town of Providence. He was chosen to represent Providence at the Court of Commissioners in 1663, and a Court of Deputies in 1665 and 1671. In 1667 he was chosen as town treasurer. He was one of twenty-seven men who stayed when residents of Providence were moved to Newport during King Philip’s War in 1675 and 1676. He also had a house that was destroyed during this conflict. Although it is popular lore that the existing chimney belonged to that house and a new house was built to incorporate it, it is likely that the house that burned was located in what is now downtown Providence. Thomas accumulated acreage and improved it so it could be farmed, as did the next two generations of Clemence yeomen. Thomas and his wife Elizabeth had four children. In 1681 Thomas Clemence left this property to his son Richard, for whom what is now known as Clemence-Irons House was built in 1691. It is difficult to know for sure the original plan of the house, but the most popular theory, and the basis of the later restoration, was that it was built as a story-and-a-half structure with a rear lean-to, a large stone-end chimney, topped with a steep gable roof. Four small rooms (great room, kitchen, principal chamber, and smaller chamber) were located on the first floor, with a cellar below and a garret chamber above. 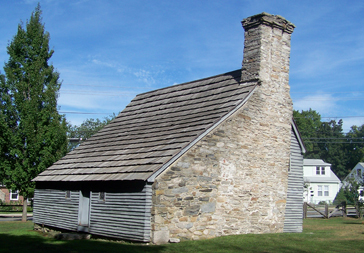 As is typical of the Rhode Island stone-ender, the chimney occupies most of the west side of the structure. In this country, stone-enders are unique to Rhode Island. It is a building form that can be traced back to Wales, Sussex, and western counties of England, where building in stone was the tradition. It is thought that the early colonists of the area built their houses in styles they knew. Clemence-Irons House seems to be an adaptation of a modest English Tudor cottage, right down to the stonework of the Elizabethan-style chimney. When Richard Clemence died in 1723, he in turn granted the property, which now encompassed 300 acres, to his son Thomas. At the time, the property included the homestead of meadows and tenements located along the banks of the Woonasquotucket River. This was the first time a building was mentioned on the property. Thomas Clemence sold the property to John Angell in 1740. The size of the farm had increased to 300 acres with housing, fences, a corn crib, a bar, a shop, and improvements. Upon the death of John Angell, the farm was passed to his son James. By the time the property was sold after James’s death the size of the farm had increased to over 370 acres. This appears to be the most land that ever existed within the Clemence-Irons homestead. The property stayed in the Angell family for three generations. It is quite apparent that the first two generations of Angells did not live on the property. They both lived on their homestead in the center of Providence. Even though records could not be found, it is very probable that they leased it out to be farmed. The third generation of Angells did live here for a short while and it is clear that John Angell did work the land himself. As textile mills flourished and expanded, the size of many farms decreased as the valuable property along the river was leased or sold for industrial purposes. The first record of any agreement concerning industry and the Clemence-Irons property was in 1807 when William and Abigail Angell Goddard signed an agreement with the Lyman Manufacturing Company giving the company limited rights to the use of the water and land along the river’s edge and their property. This arrangement seems to have been renewed annually and continued on after the Goddards sold the land to Stephen Sweet in 1826. In 1826 Stephen Sweet bought the property, which now consisted of 300 acres. He immediately sold most of the parcel to George Waterman, a cotton manufacturer, leaving approximately 100 acres for his own use. Sweet farmed the property until his death in 1855, when the farm was partitioned among his heirs. His daughter Sarah Manton, wife of Amasa Irons, became owner of the homestead, barns, and other buildings, and about fifteen acres of land extending easterly to the Woonasquatucket river. By the middle of the nineteenth century, the Clemence-Irons property was surrounded by industry and its by-products: to the east was the Lyman Factory Pond and the dam, to the south was the Killingly Road, to the west was the Widow Sweet’s Factory, and to the north was George Waterman’s factory. 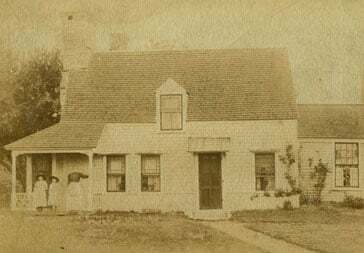 The farm stayed in the Sweet-Irons family until 1937 when Ellen E. Irons died and the property was sold. By this time the land had gone through two subdivisions and amounted to less than an acre. The house was purchased by Henry D. Sharpe and his sisters Ellen and Louisa with the intent of restoring it to a seventeenth-century structure. By this time the house had grown to thirteen rooms, including a one-story room at the east end with a corner fireplace, used as a parlor; a story-and-a-half rear lean-to, containing a kitchen, bathroom, and a stair hall in the first story, and two bedrooms in the above story; a one-story ell at the northwest corner; and a front hall and porch at the southwest corner. Early photographs document the existence of several outbuildings on the property. Also removed prior to or during the restoration were at least two one-and-a-half-story gable roofed barns close to the southwest corner of the house, and a small shed that stood just north of the barn. The Sharpes hired Norman Isham, a leading scholar of colonial architecture and co-author of Early Rhode Island Houses (1895), to restore the house. During the restoration, which began in 1938, everything that was not original to the house was removed, namely the roof, dormers, doors and windows, dormer, plaster, lathe, and layers of wallpaper. Some of the early interior alterations that were removed from the house included the brick oven adjoining the kitchen fireplace, a paneled fireplace, a vaulted plaster ceiling from the northwest ell, and all interior room partitions. Uncovered during the removal phase was the original paneling on the walls, found under the many layers of lath, plaster, and wallpaper. What was left was the bare framing of the house, comprising massive oak timbers with decorative chamfering, mortised and tenoned together, and the massive stone chimney. The house was recreated with a four-room, one-and-a-half-story plan. The entrance leads directly into the hall, a fifteen-foot square room with a huge fireplace across its west end, with a small staircase beside it leading to the garret. A fifteen- by seven-foot bedroom chamber adjoins the great room in the front of the house. The rear lean-to consists of two rooms: the kitchen and a small bedroom chamber. The stone fireplace built into the west wall of the kitchen was constructed as part of the restoration. On the exterior, sash windows were replaced with smaller casements with leaded glass panes. 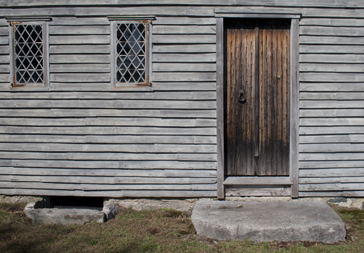 The replacement doors were made from a triple thickness of planks nailed together by knob-headed nails, hand-hewn clapboards were made for the exterior walls, and shingles split for the roof. In the interior are only the massive timbers used in construction and the two large fireplaces. The walls are adorned only by beaded wall sheathing and the chamfers of the timbers themselves. After the restoration was completed, more than half of the materials present were new. The reconstruction of much of the materials is so precise it is difficult to determine what is original and what has been replaced. This method of restoration, though it differs from current philosophies, was thought to be one of purity and accuracy. Both Isham and Cady were active very early in the history of architectural restoration in this country and both were very highly respected. In addition to being members of the American Institute of Architects, Isham was the foremost expert of his day in colonial architecture and Cady was an accomplished Rhode Island historian. They made sure that materials used in the reconstruction were those of seventeenth-century craftsmanship and hired Joseph H. Bullock, a specialist in early building methods, to oversee the process. The effect of the recreation was made complete with period reproduction furnishings. These include a long trestle table, a set of turned ladder back chairs and a settle for the hall, a hutch for the kitchen, and a chest and beds for the two downstairs chambers. These furnishings are not characteristic of what would be found in a home of such an early date and are part of the romantic recreation of Sharpe and Isham. Through the funding of Henry Sharpe, Isham had the opportunity to recreate a small piece of seventeenth-century Rhode Island. Front levation, general conditions, Clemence-Irons House, Johnston, RI, March 13, 2006. After the restoration was complete, the Sharpes opened the house to the public, and in 1947 gave it to Historic New England, then the Society for the Preservation of New England Antiquities. Historic New England maintains the property as a study house, open for general tours a few times a year and by appointment. When did Historic New England acquire Clemence-Irons House? Historic New England acquired the house as a gift from the Sharpe family in 1947. When did the Clemence and Irons families live in the house? The Clemence family owned the house from 1691 until 1740. When ownership passed out of the Clemence family, the house sat on 300 acres. Over the next century the farm was operated by tenant farmers and then the Sweet family. In 1855 the house was passed on to Ellen Irons. She lived there until her death in 1937. You can park on the street in front of the house. A tour of any Historic New England property requires a considerable amount of standing and some walking. Clemence-Irons House has not been equipped with accessible ramps, elevators, or chair lifts. Folding chairs can be provided for visitors who would like to use them during a tour. Service animals are always welcome. We encourage visitors with concerns to call ahead. We are happy to work with you to make your visit an enjoyable one. How do I become a member of Historic New England and get more involved? Can I take photographs at the museum? Do I have to take a tour or can I just look around? All visitors to the house receive a guided tour. 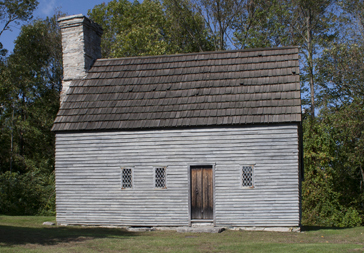 Visit Arnold House in Lincoln, R.I.
Visit Casey Farm in Saunderstown, R.I.
Johnston, a small town, was established in 1759, when it became independent from the city of Providence. Once an agricultural area, commercial interests expanded in the mid-nineteenth century when Johnston boasted four cotton factories employing more than 1,000 people. Johnston is now a mixed residential and commercial town. Today, Johnston is one of the most ethnically diverse towns in Rhode Island. Expand your visit to Johnston and visit Dame Farm and Orchards to experience a working educational farm dating back to the colonial period. Take a tour of the farm in a wagon pulled by draft horses. Johnston is less than six miles from the vibrant and revitalized city of Providence. Contact the Northern Rhode Island Chamber of Commerce or the Rhode Island Tourism Division for listings of restaurants and lodging, and many more local activities.